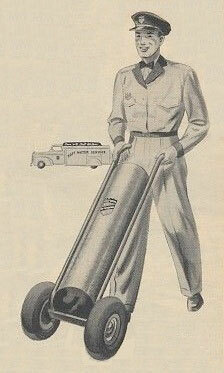 1938 - Portable Exchange Tanks are the horse and buggy of water softening. 1950’s - Automated time clock – guesstimate, extremely inefficient. The unit regenerates on a preset schedule whether it needs to or not. 1980’s - Metering the water - current state-of-the-art technology. This was an improvement over time clocks. It kept tabs as to how much water a family would use and regenerate. However, water conditions and hardness levels fluctuate constantly and the meter cannot respond to those changing conditions. 2011 - The new GE Analyzer is the first significant technological breakthrough in the water industry in the past 30 years. 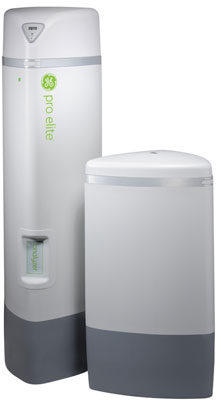 The world’s only system that automatically adjusts to changing water conditions. It regenerates only when needed, conserving water and regenerant (sodium-free potassium) due to fewer regeneration and rinse cycles. Replaces unsatisfying time clocks and metered controls.